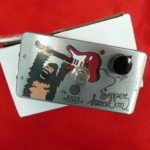 Mojo Hand FX Extra Special Overdrive effect pedal. VG+ condition. Good working order.